Joshua Whitehead, Becky Blake, Helen Knott, Miles Steyn and Kirk Angus Johnson will be mentored by the RBC Taylor Prize finalists. 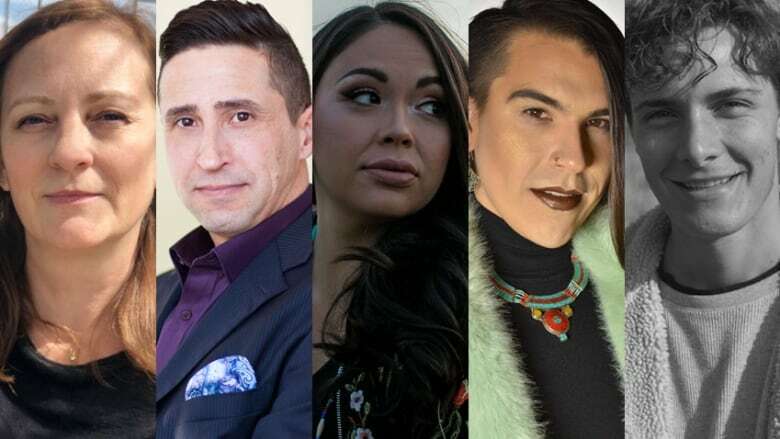 Five emerging nonfiction writers from across Canada have been chosen to be mentored by the 2019 RBC Taylor Prize finalists. The five honorees, all of whom are at work on a nonfiction manuscript, are: Joshua Whitehead, Becky Blake, Helen Knott, Miles Steyn and Kirk Angus Johnson. Whitehead, an Oji-Cree, Two-Spirit storyteller, will be mentored by Ian Hampton, author of Jan in 35 Pieces. Whitehead's books include the poetry collection full-metal indigiqueer and the novel Jonny Appleseed, which was shortlisted for the 2018 Governor General's Literary Award for fiction and longlisted for the 2018 Scotiabank Giller Prize. He's working on the nonfiction book Making Love with the Land, which blends horror, speculative fiction and poetry to examine themes of Indigeneity, queerness, mental health, among other subjects. Becky Blake, a Toronto-based fiction and nonfiction writer, will be mentored by All Things Consoled author Elizabeth Hay. Blake is a two-time winner of the CBC Literary Prizes and is releasing her first novel Proof I Was Here in 2019. She's working on a memoir-in-essays titled Everything I'm About to Say Is a Lie. Helen Knott from Fort St. John, B.C., will be mentored by Mamaskatch author Darrel J. McLeod. Knott has contributed poetry, short stories and essays to publications like CBC Arts, the Malahat Review and Red Rising Magazine. She is currently writing Taking Back the Bones, which is described as an "Indigenous female manifesto." Miles Steyn, a South African born and Vancouver-raised essayist, will be mentored by Just Let Me Look At You author Bill Gaston. Steyn was longlisted for the CBC Nonfiction Prize in 2018 for the piece From Clay and has contributed to publications like Existere and The Xanadu Anthology. He's working on a memoir called Wire to the Sky based on an essay shortlisted for EVENT Magazine's Creative Nonfiction Contest. Kirk Angus Johnson is a writer and veteran from Three Mile Plains, N.S., and will be mentored by Lands of Lost Borders author Kate Harris. Johnson served in the Canadian Forces in Kandahar in 2010 and is now a student in the creative nonfiction master's program at the University of King's College. His nonfiction book Some Kind of Hero will explore the tragic circumstances of the murder-suicide of Afghan vet Lionel Desmond and his family. The RBC Taylor Prize Emerging Writers Program, now in its second year, is designed to help burgeoning writers on to the next step of their career through mentorships, as well as professional development seminars on the business side of writing.